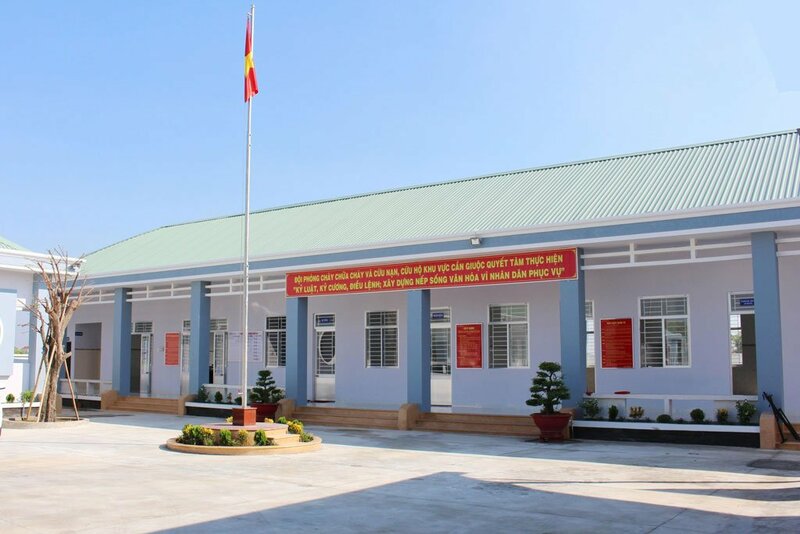 According to Long An Online Newspaper, Long An Police Department announced to establish Can Giuoc Fire and Rescue Division. 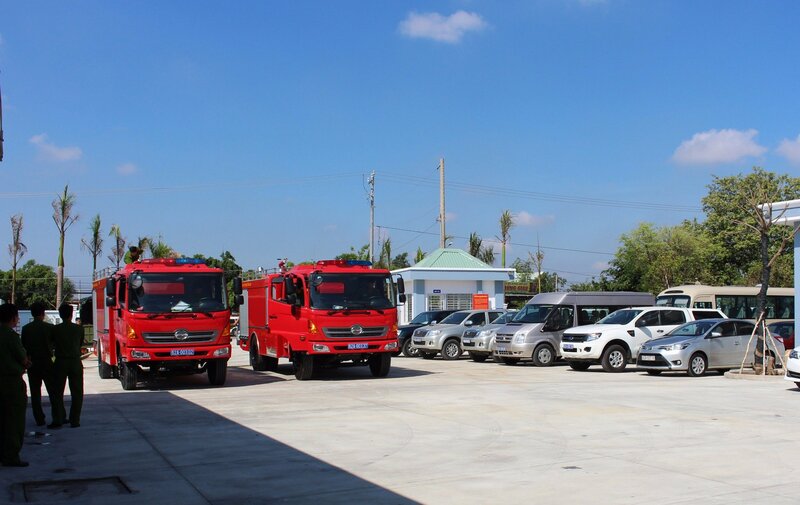 Can Giuoc Fire and Rescue Police Division is aimed to corporate with Province’s Police Department to train and educate about fire safety knowledge, develop and find solution for emergency situations, manage and solve any fire report, ensure fire secure and safety for 24/7. 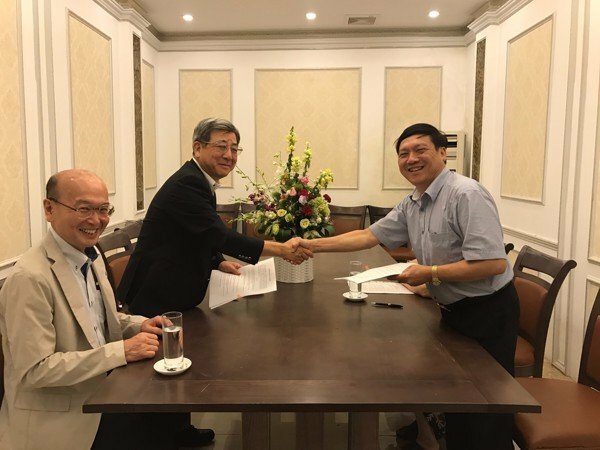 The establishment supports Province Fire and Rescue Department in terms of coming to the fire quicker as well as having efficiency fire fighting situation. 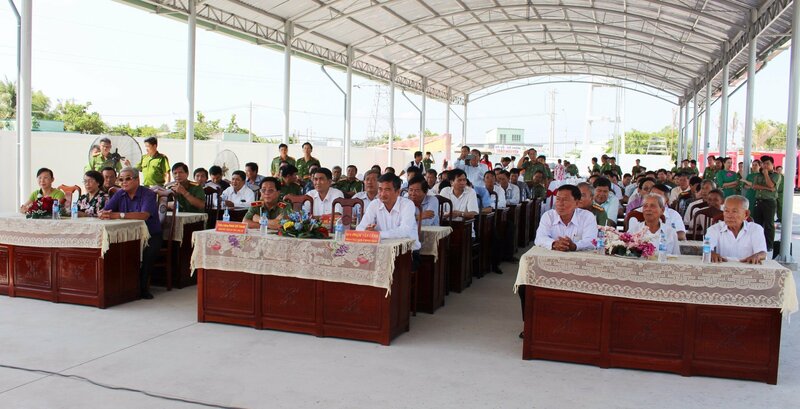 The division is located at Long An village, Can Giuoc town, Long An province. 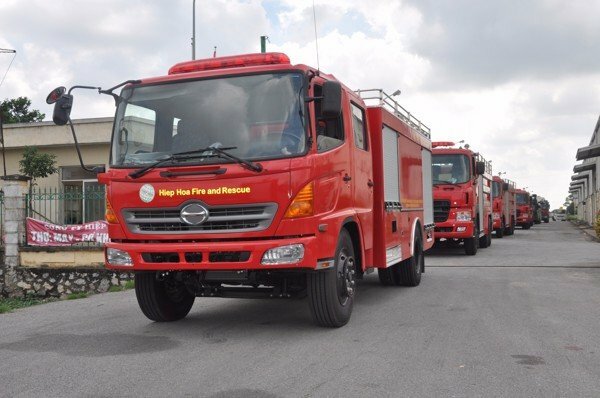 In order to ensure the effectiveness of work, the division decided to equip 02 brand new Hiep Hoa Fire truck. The new truck has capacity up to 5500 liters which is built on Hino FG chassis. 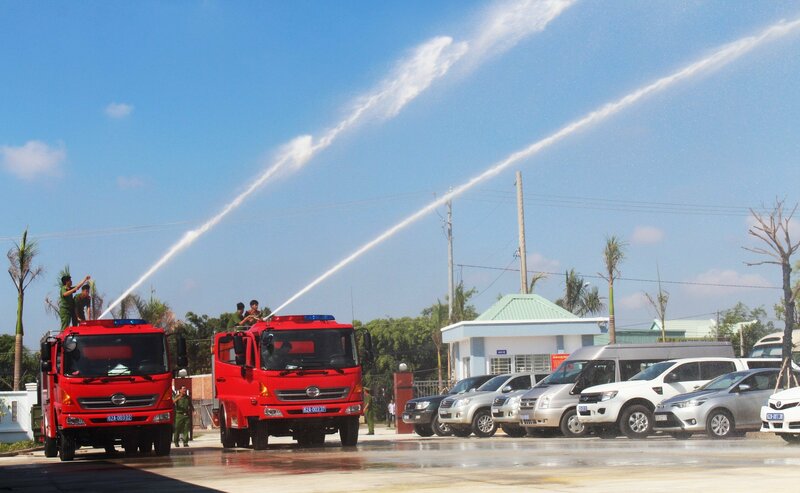 Hiep Hoa Fire truck is always high evaluated by not only domestic market but also international market. 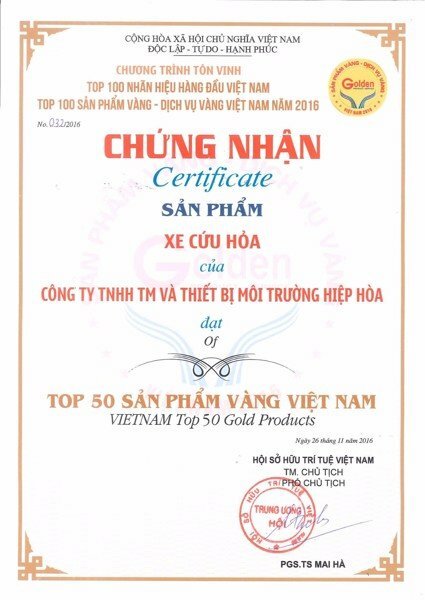 In the end of 2016, Hiep Hoa Group was graced to be nominated in top 50 Vietnam Gold Product for Fire Truck. 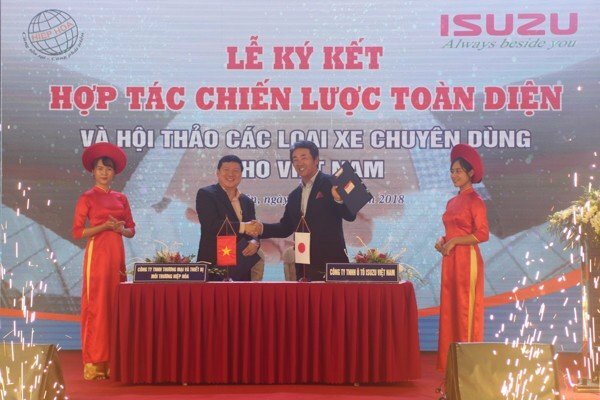 The award is voted by Vietnam intellectual property association. 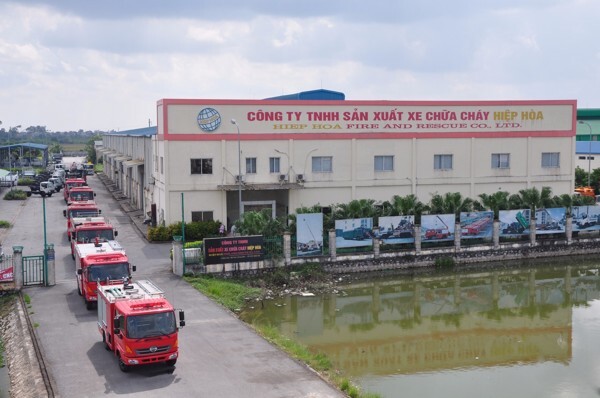 Over many years, through experiences and efforts, Hiep Hoa Fire truck quality is always improved and upgraded the most innovative and the newest technology in the world. 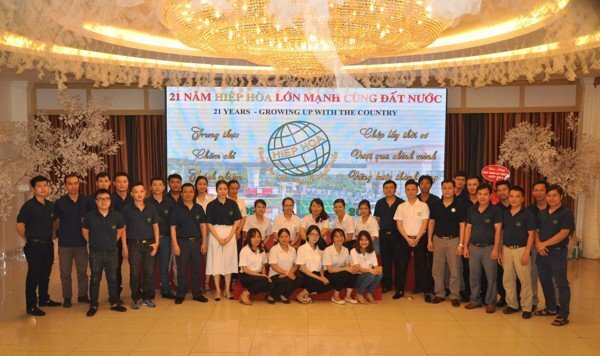 Beside that, professional maintainance and inspectation service always satisfy the company’s partners and customers when they use the company’s service and buy the company’s product.